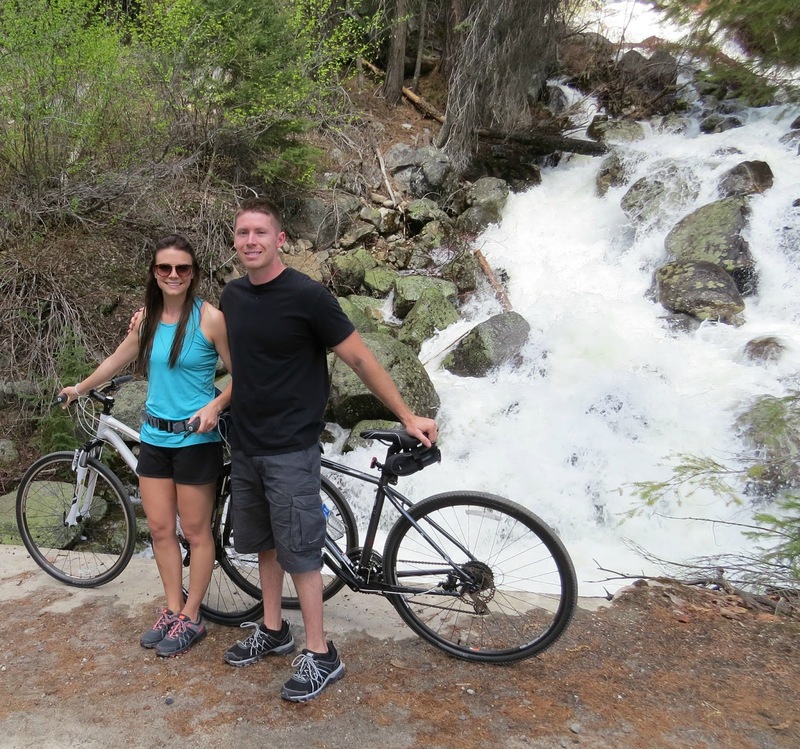 On Friday, Daniel and I drove up to McCall, Idaho to celebrate my Dad's girlfriend's birthday. We ate dinner at the Southside Grill (formerly Si Bueno), and then went back to the cabin and played 10 Penny while enjoying licorice, Drumsticks and The Wedding Singer. Saturday, we slept in—what a treat that was—and biked down to Paradise Burgers for lunch. 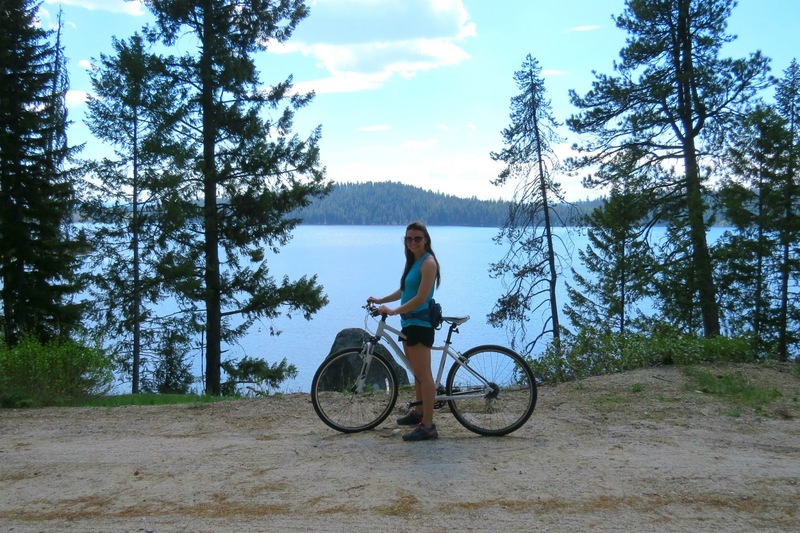 After that, Daniel and I decided to take the Payette Lake Loop (a 16-mile bike ride), which took us around the entire Payette Lake. It was a beautiful ride—filled with gorgeous lake, waterfall, and river views—and afterward we treated ourselves to slices of heaven at Growler's Pizza. It was a fun weekend getaway, and we made it back just in time Sunday morning to go to church and head to my mom's for Mother's Day brunch. I love the weekends... especially when they're filled with impromptu road trips and time to sit back, relax, and just take it all in. Gorgeous scenery! Looks like a super relaxing getaway! I can't wait until I'm finished with the semester so I can spend some time in nature. Call me crazy, but the grass between the parking garage and school doesn't count. we saw some sweet swallows like the one in the photo this weekend too! What a wonderful weekend - and you look SO fit girl!!! Your shirt is fantastic! It looks like you had a great weekend! I love McCall. :) These pictures really make me want to go back! That means more to me than you know! Thanks Georgina! Let's go on a double date up there! Ha! Thanks Krysten! It's from Apricot Lane and matched my purse so perfectly... I couldn't resist! Great photos and I love the pops of neon in your first outfit! Wow how gorgeous, looks like an amazing place to visit. And I LOVE your shirt! I love the outdoors–a weekend like this would be right up my alley!